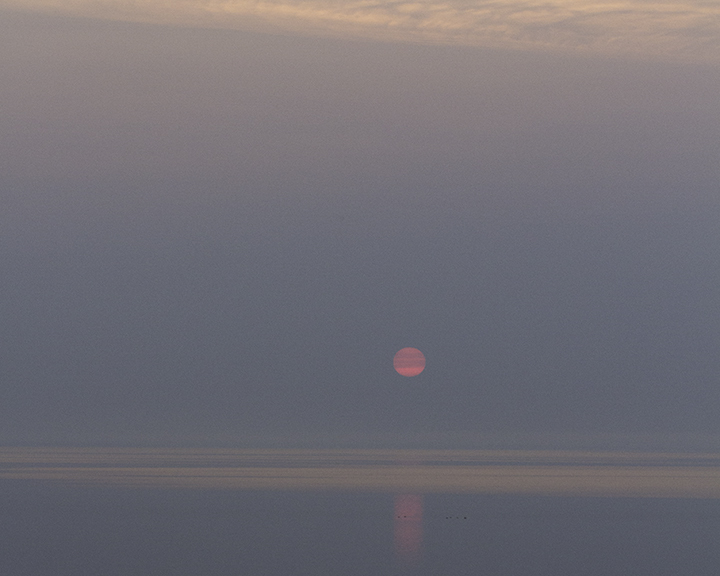 One of several attempts to capture the early morning sun over Lake Huron in St. Ignace, MI. In the far distance, mostly obscured by the fog, is Mackinac Island. The fog lasted for about an hour or so after sunrise then lifted to give a clear view of the island. The evening before Connie and I visited the island. 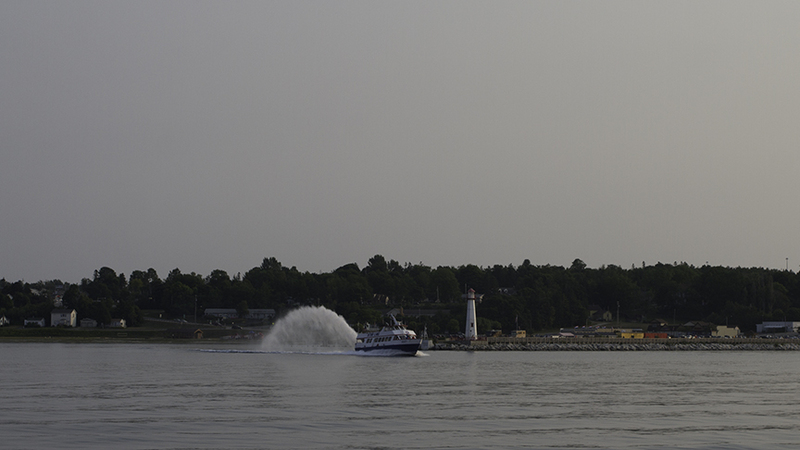 We traveled from St. Ignace on a high speed ferry like this. Unlike most other ferries, the only wheeled vehicles on these ferries were bicycles. 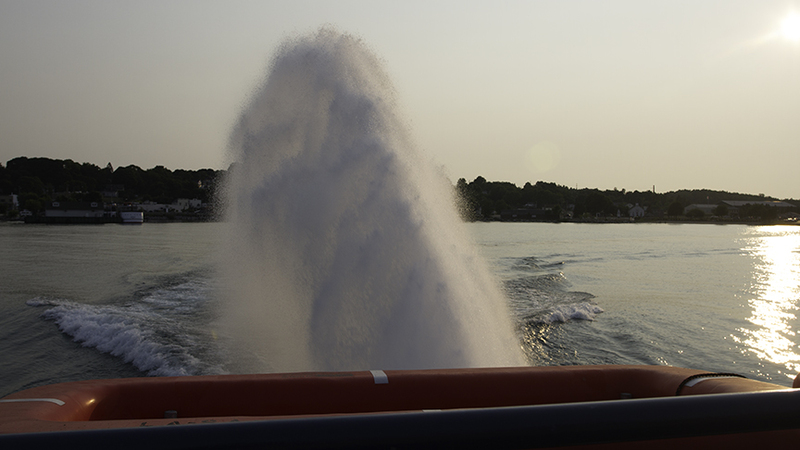 The wake looked like this over the stern on the upper level of the ferry. 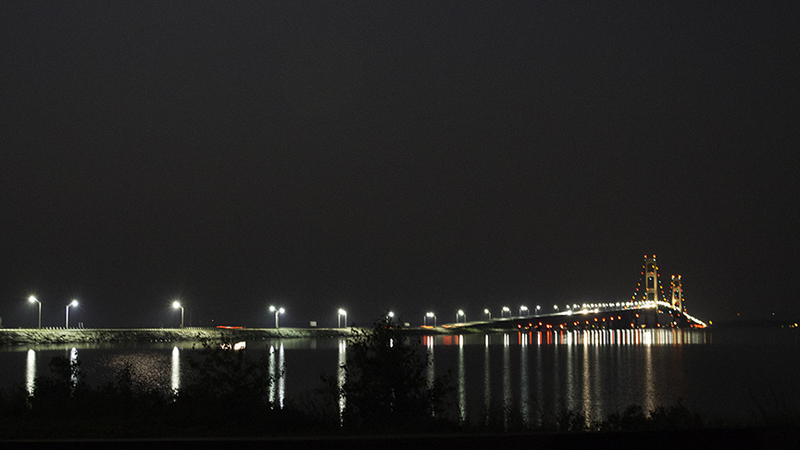 After visiting the island we made a late night trip to the park with a great view of the Mackinac Bridge.